Drive-Master offers a fleet of wheelchair accessible minivans available for rental in New Jersey and New York and cover Newark Airport, JFK and LaGuardia. 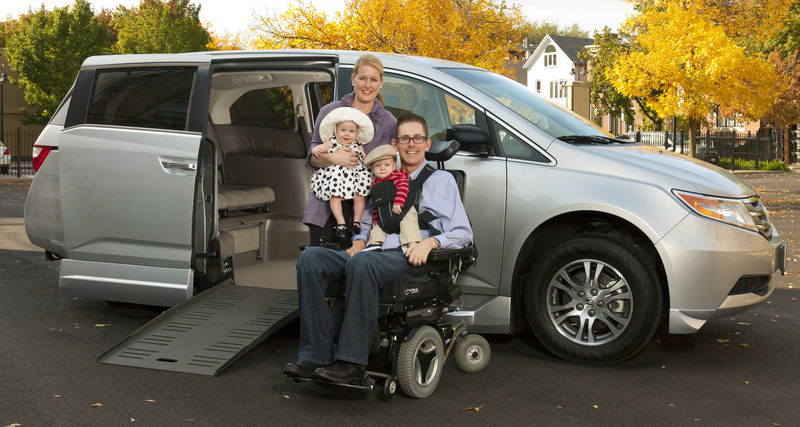 Whether you need a wheelchair accessible van to rent for a day, weekend, week or month, we can accommodate. Drive-Master is proud to be part of the Accessible Vans of America (AVA) family, dedicated to providing quality wheelchair van rentals with handicap accessible features. AVA is a group of independent wheelchair van dealers who are all committed to improving the transportation options for people requiring adaptive equipment. All of our wheelchair rental vans are regularly inspected to ensure that you receive a vehicle that is reliable and comfortable. Whether you live in New Jersey or New York or are traveling here on your next trip, we have a wheelchair rental van that meets your lifestyle & budget. Even if you are not ready to buy, Drive-Master’s Wheelchair Van Rental program in NJ and NY provides a low cost alternative to expensive medical transportation or the stress of getting your loved one in a non-accessible vehicle. We specialize in both short and long-term rentals. A $5.00 (non-taxable) per day domestic security fee will also be applied. Always confirm the features, options and mobility equipment you require is available. Not all wheelchair rental vans are equipped with all the features listed. Each day you will receive 100 miles included, after that it is a cost of $.25 per mile. $6.00 per Gallon of gas if van needs to be refueled after rental is complete. Convenient delivery and pick up services available for $180 each way within 1 ½ hour radius of our location. Are you flying in from out of town? We’ll meet you at your arriving airport in New Jersey and New York including Newark, JFK and LaGuardia. Weekend delivery and pick up services are an additional $25. In the event that you need to cancel, please contact us within 24 hours of the rental, or a one day rental fee will be charged.